The Lindenwood women’s water polo team fell to McKendree University 11-9 in its first game of the season. They played at the McKendree Metro Rec Plex in O’Fallon, Illinois. Despite the loss, the young team proved it is a force to be reckoned with, having lost the Wednesday night game by only two points. Of the 18 players on the roster this season, 12 of them are freshmen with this game being the first of their collegiate careers. “We had our shots, we had our opportunities, we just made some freshman mistakes,” said head coach Dave Miller. 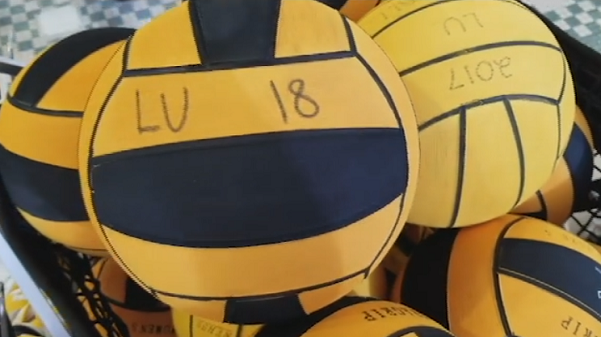 “I think the skill is definitely there; we just need to work on playing together as a team,” said Abby Vermeer, a third-year player on the Lindenwood women’s water polo team. Vermeer was the top scorer for Lindenwood with four goals followed by freshman Hanna Muller with three. Two other freshmen, Naomi Sanders and Madelynn Klein-Courville, scored one goal each. Lindenwood won all four swim-offs, Vermeer taking the first and third quarters, Paige Miller taking the second and Muller with the fourth. The Lions will compete next in the Conference Crossover tournament against University of Notre Dame, Illinois State University, University of Cincinnati, Calvin College and Grand Valley State University. The tournament goes Feb. 2-4 in Hudsonville, Michigan. October 2, 2015; 10:00 a.m.